Book a private jet charter to Egypt , located in the Middle East at the intersection of Eastern and Western civilization. Air Charter Advisors is available 24 hours a day worldwide for private jet charters in Egypt, offering luxury and executive travelers the best deals on their private flights. Officially the Arab Republic of Egypt, this transcontinental country is located mainly in North Africa, while also extending into Asia via the Sinai Peninsula. It’s bordered by Israel and the Gaza Strip to the northeast, Sudan to the south, and Libya to the west. It’s also border by the shores of the Mediterranean Sea (north), the Red Sea (east), and vast deserts, all brought to life by the Nile River. Charter the perfect private plane at the best price when you charter a private flight to/from Egypt with our 24/7 air charter services. Our charter brokers connect executive and luxury travelers to thousands of planes for flights within the Middle East or to/from any destination worldwide. Enjoy the best private flights using ACA’s on-demand jet charter services. 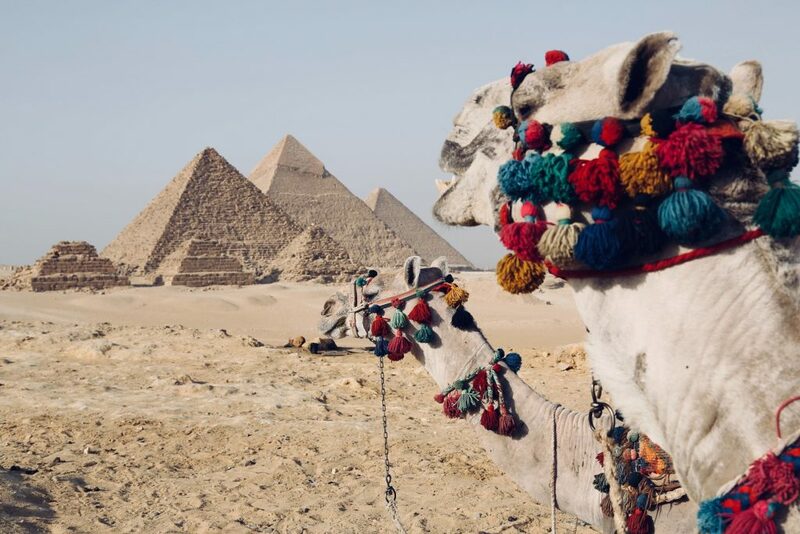 Book your private charter flight to Egypt, home of the most well-known ancient civilizations, from Egyptian temples and hieroglyphics, to mummies, relics, and of course, the Great Pyramid of Giza. Right next door to the area referred to as ‘The Cradle of Civilization’, Ancient Egyptians developed some of the earliest forms of writing, agriculture, urbanization, religion, and government. There are a variety of iconic monuments reflecting Egypt’s legacy on the world, many of which have left a last impression on archaeologists, anthropologists, and western visitors alike. In addition to its impressive array of pyramids, visitors can also check out the Giza Necropolis and its Great Sphinx; Luxor Temple and the Temple of Hatshepsut; the ruins of Memphis, Thebes, and Karnak; and the Valley of the Kings. There’s also Egypt’s lesser known medieval Christian & Islamic heritage, marked by ancient churches, monasteries, mosques, and more. The nation’s rich cultural heritage is a major part of its identity, with various foreign influences including the Greeks, Persians, Romans, Arabs, Ottomans, and Nubian. Today, Islam is the nation’s official religion, with Arabic as its official language. There are more than 95 million residents, with most live near the banks of the Nile, making it the most populated country in North Africa, as well as the entire Arab world. Egypt is considered to a regional power in North Africa, the Middle East and the Muslim world. Its economy is one of the largest, most diversified in the Middle East, and is projected to become one of the largest in the 21st century. The country is also a founding member of the United Nations, Non-Aligned Movement, Arab League, African Union, and Organisation of Islamic Cooperation. Learn more about ACA private jet charter services in the following destinations. Request a Quote or give us a call at 1-888-987-5387 to speak with one of our private jet charter brokers for your next luxury vacation, business trip, or special event in Egypt.